It's Castle meets The Mentalist, as Eric McCormack tackles paranoid schizophrenia and hormonal students in TNT's Perception. 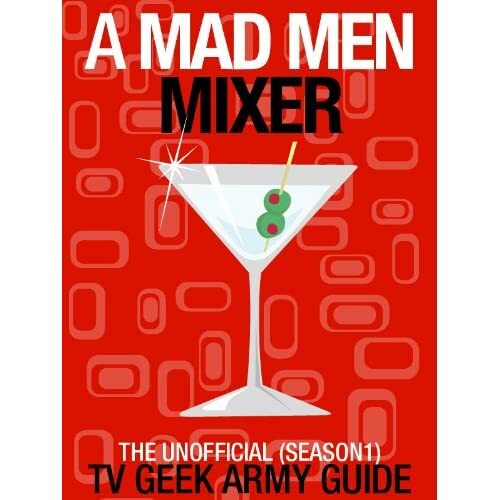 (S0101) Even though TNT isn't heralding the charge to fill the "intell-eccentric" void left by Fox's final season of House – CBS already tried, and failed, with A Gifted Man – they've fronted a fairly strong "Pilot" episode with Perception. 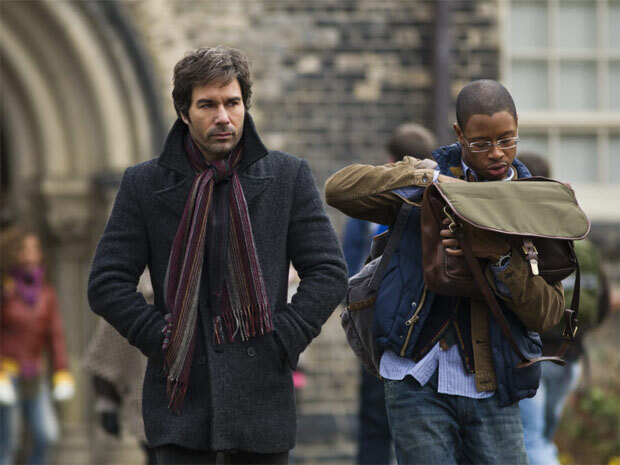 Bringing Eric McCormack back to the small-screen alongside Rachael Leigh Cook, the new drama follows Daniel Pierce, an esteemed professor of neuroscience who happens to be a functioning paranoid schizophrenic, and Kate Moretti, an FBI field agent trying to land standing up in Chicago after her demotion within the Bureau. The concept might immediately remind you of Russell Crowe in A Beautiful Mind, but McCormack quickly claims the role as his own, landing the show somewhere between Castle and The Mentalist. The symptoms of Pierce's diagnosis are gradually revealed as the episode progresses: hyperbolic paranoia regarding things like milk and sugar in his tea, a susceptibility to the stresses of sensory overload which he escapes from through headphones and orchestra music, and of course, the hallucinations that he cannot differentiate from reality – at least on his own. When his former student Kate Moretti (Cook) comes looking for Pierce's help in an FBI case, his aptitude for solving puzzles motivates him to lend more of his expertise than is asked for. After ruling out a suspect in the murder of her husband due to her apparent bulimia and the suggestive state she was in when she offered her confession, Pierce and Moretti investigate the victim's workplace, a pharmaceutical company. The rest of the show has the makings of a one-man procedural, as Professor Pierce follows the clues manifesting themselves as the hallucination played by Falling Skies' Colin Cunningham. Arjay Smith plays Pierce's live-in teacher's assistant and Ph.D student, Max Lewicki, who first informs his mental mentor that he is, indeed, hallucinating. Lewicki thinks that the professor's uniquely-timed hallucinations may be more than just a symptom of his mental illness. While it's clear that Pierce's hallucination ultimately helps him solve a real conspiracy within the pharmaceutical company, it remains to be seen which clues, if any, prompted his visions in the first place. You can't help but notice certain similarities between McCormack's portrayal of Daniel Pierce and the rise in arguably autistic characters on television. His social brevity and acute awareness of the chemical processes influencing the behaviours of others make him out to be somewhat cold and detached, as evidenced by his calling out one of his students' attempt to engage him in a sexual encounter on the campus courtyard. After opening to a sizeable audience of 5.6 million viewers, Perception seems to be off on the right foot, though there wasn't much evidence of a larger story at work. The only problem that persists past the first hour is the fact that Moretti hasn't seen Pierce during one of his hallucinatory episodes, and he intends to keep it that way, afraid that he'll scare her off. Colin Cunningham's performance as a figment of Pierce's imagination is properly ominous, arguably stealing the spotlight in the first episode. It's unclear whether he'll reprise the role or if there will be a new guest star to fill the imaginary shoes each week. That being said, it was nice to see LeVar Burton in a potentially recurring role, playing Pierce's friend Paul Hayley, the Dean of the university and the man responsible – and liable – for the paranoid schizophrenic's academic performance. Castle meets The Mentalist, great description !